On 10th May 2016, Sigi Siller, founder of Om El arab passed away – the world of Arabian horses would look different without her influence, her vision and her drive. 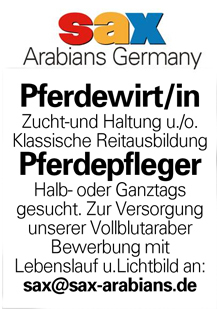 Om El Arab stud, which – with El Shaklan – gave the world one of the most important sires of all times, actually started with an Arabian mare from Marbach, called Dindara, who was bought by Sigi’s father Franz Siller in 1969. 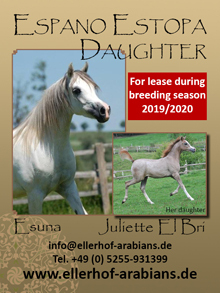 This was one of the reasons for Sigi Siller and her future husband Hein-Rüdiger Merz to travel to the most important Arabian horse studs at the time in Spain, Poland and Egypt, to purchase a group of 25 horses in total, among them Estopa and Shaker El Masri. 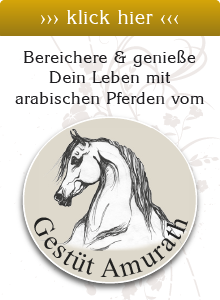 The first foal born at Om El Arab was the cross of the Spanish mare Morisca V with the Egyptian sire Hadban Enzahi at Marbach. 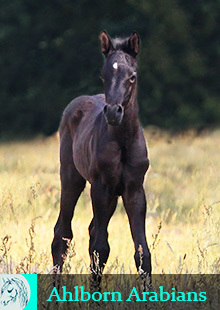 This mating resulted in the filly Mohena, later the dam of Sanadik El Shaklan (*1983). As early as 1975, the horse which would change the world of Arabian horses was born: El Shaklan (Shaker El Masri / Estopa). With him, the “Golden Cross”, the mixing of Spanish and Egyptian lines, was born – but to be honest, it was especially the mating of Estopa with Shaker El Masri, which created superior products: Estopa had 12 foals, which all became sires and dams in turn, among them four fill siblings of El Shaklan: Estasha (*1973), Estawa (*1974), Ibn Estopa (*1977) and Estara (*1979). Within a short time, the stud became one of the most successful studs in Germany and in 1975-77 alone, collected more than 20 international championship titles. The wave of success kept on going until the beginning of the 1980ies, and in 1983, they wanted to know whether or not El Shaklan would be successful in the US. And yes, he was – in his first year in US he bred already around 100 mares! The trip to US was actually so successful, that the Merz family bought a property in the Santa Ynez Valley, where they emigrated to in 1984. Although the Merz couple was very successful in breeding Arabian horses, it didn’t work out as well in their private lives – a war of roses and divorce followed, during which El Shaklan was sold to Brazil. 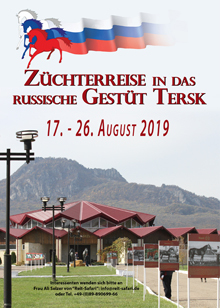 Heinz-Rüdiger Merz returned back to Germany, where he continued the Om El Arab stud in the Black Forest – which then ended in foreclosure. Sigi remained in US with her children Janina and Ben, and together with Jay Constanti build up the stud under the name of Om El Arab International. The number of horses were down to three broodmares and one stallion, as well as some shares in Sanadik El Shaklan. Despite these setbacks, Sigi Siller managed to lift her stud to new heights. 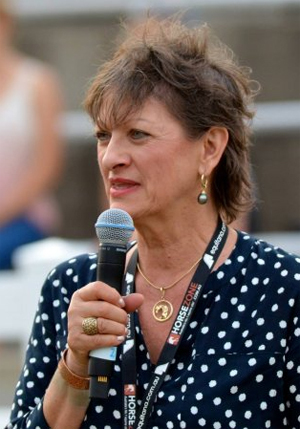 She followed her vision with perseverance, determination and commitment and left the world a legacy of horses, that represent the Arabian horse on first sight and can easily be recognized as a result of her very own vision.